• ironmongery wholesale selling, machine shops equipments, car repairs, bodywork and painting, system maintenance for construction industry and carpentry. 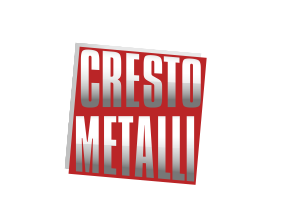 Cresto Metalli has got lots of brands and products represented all around the world and its first goal is to satisfy its guests. The main office is in Moretta, between Turin and Cuneo, so we can operate in the whole Northern Italy with our means in a day. We can also deliver goods in Europe thanks to express couriers.